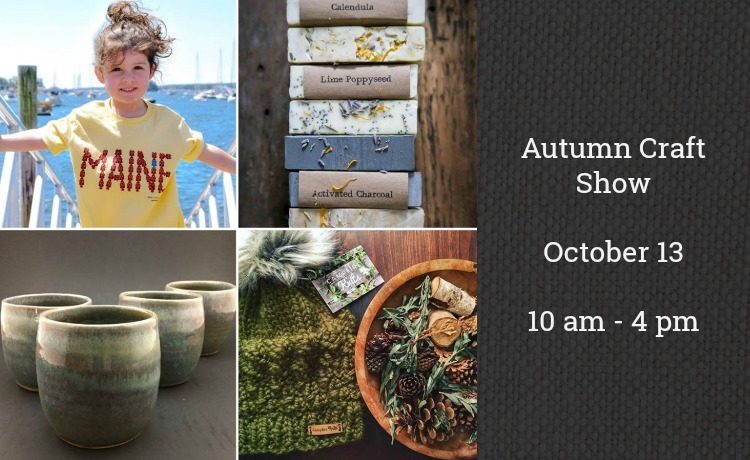 Our Autumn Craft Show is filled with over 30 local crafters showcasing their fine crafts. Several local crafters include: Misty Acres Alpaca Farm, Soulshine Soap Company, Grey Goose Gourmet Pepper Jellies, Campfire Knits, Painted Turtle Illustrations, Sunrise Maple Farm and many others. Lunch will be available for purchase from the Kennebec Valley Garden Club. PALS cat shelter will be selling sweet treats to raise money for the shelter. There is no admissions fee.